Engineered for optimal sleep, Simba has created a collection of products that will guarantee you the best nights sleep. Using a variety of scientific engineering, Simba has developed 5 different layers for optimal sleep, presenting you with the simba mattress. 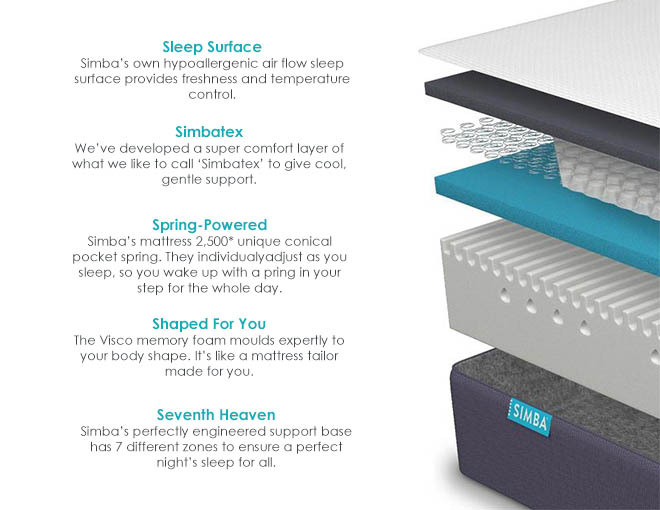 The Simba Hybrid Mattress, one mattress, five layers…tailored to suit all. Simba has redefined the mattress with what we believe to be one of the best memory foam mattress online. The revolutionary Simba mattress is a hybrid memory foam mattress made up of 5 layers each with its own unique purpose. Would you like more information on the Simba range? We'd love to welcome you into our stores to provide you with more information on the Simba mattress, pillow and mattress protector range. If you're looking for the perfect nights sleep then we're sure you'll find it here with Simba Sleep - the Simba Hybrid Mattress. Why not give us a call or pop into our store to find out more? 1. As a goodwill gesture, we agree to extend your right to cancel your order of a Simba mattress, for any reason, up to 100 days. All we ask is for you to tell us the reason for your cancellation. Failure to provide a reason may delay the collection of your mattress, but ultimately will not void your right to return the mattress under the 100 night trial. 2. The period to cancel expires at 24:00 on the 100th day since the date the mattress was delivered. 3. Following a notice of your intention to cancel, collection must be arranged and executed not later than 14 days from the date that you notified us of your intent to cancel. 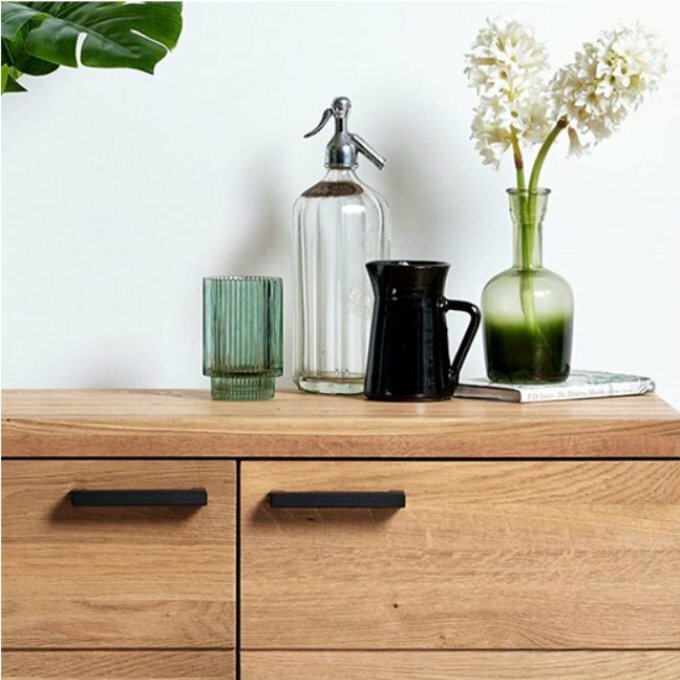 Failure to arrange collection may, save any exceptional circumstances (which must be communicated to us), invalidate your right to cancel the contract. 5. 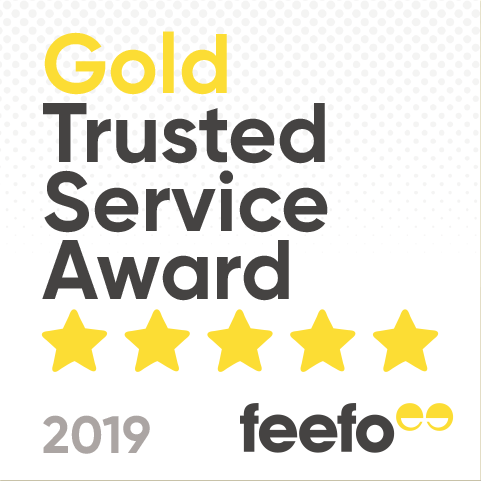 Where a claim is made under our 10 year mattress guarantee or your statutory rights and a replacement mattress is delivered to you, your 100 night trial will be paused and will continue upon receipt of the replacement. Claims under these rights will not limit your entitlement to 100 nights (in total) to trial the mattress (or any replacement). 6. The 100 night trial is offered on the basis of goodwill and as such we reserve the right to refuse the 100 night trial, including without limitation, where an individual is associated with a mattress manufacturer/brand or where we reasonably consider that the system is being abused by a customer who makes and cancels multiple orders without a legitimate reason. 7. The 100 night trial applies to the Simba mattresses only and no other Woods Furniture or Simba Products. 9. To exercise your right to cancel, you must clearly notify us of your intention to cancel within 14 days of the date of delivery by email or in writing by completing and returning the model cancellation form set out at the end of these terms. Such a notice should include: your name; address; order number; date of order; date that your product was received.